In late March my husband, son and I sailed on Carnival Imagination for a 3 Day Baja Mexico cruise from Long Beach. 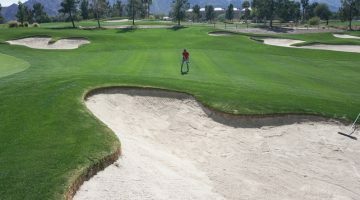 This is a great weekend getaway, especially for anyone within easy driving distance of Long Beach, California. We were guests of Carnival Cruise Line and this was our first cruise as a family. It was a super fun way to spend a weekend and what my husband and I found out, is we truly had a vacation. Because of the teen club, which my son loved, we found we had lots of time to relax and enjoy the cruise to Mexico as adults. Below you’ll find some helpful tips for cruising and some of our favorite moments on our 3 Day Baja, Mexico cruise from long beach to Ensenada. As vacations or weekend getaways go, a cruise is a much simpler trip compared to any other type of travel. One of my favorite things about a cruise is once you board, you have arrived at your home away from home. Simply unpack and you are done! 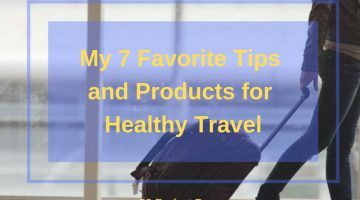 Unlike a road trip or a vacation to Europe where you are moving from location to location– on a cruise, there is no need to constantly unpack and pack again, change hotels, or drive from place to place. 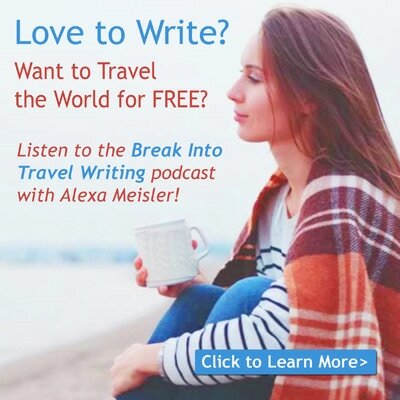 So if you’re interested in a fun cruise for a weekend getaway, and are interested in what Carnival Imagination has to offer, this post is for you! 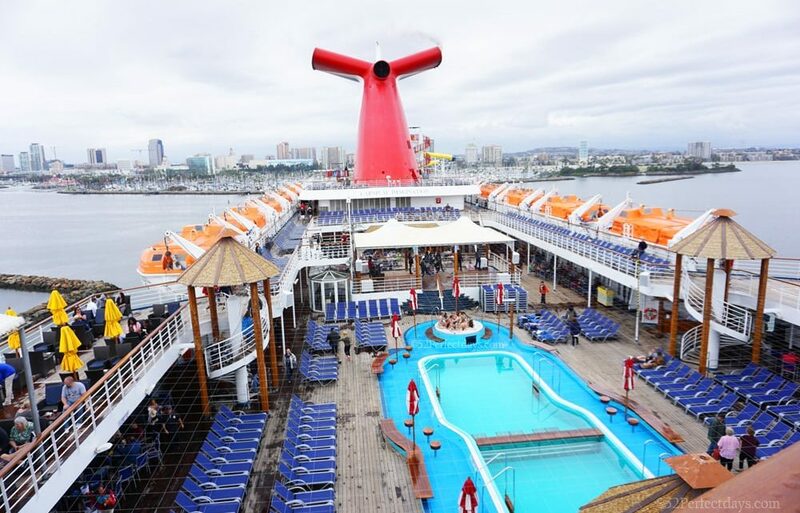 When you cruise out of Long Beach with Carnival, you’ll depart via the Long Beach Cruise Terminal, which is the busiest port in North America with ships docking five days a week. The 146,000-square-foot state-of-the-art Long Beach Cruise Terminal has been totally renovated and is beautiful. The palm tree lined terminal, is huge and allows for quick and easy embarkation. To enter the terminal, you’ll need to provide a boarding pass and a passport because it’s an international cruise. Fun Fact: The terminal encompasses the world’s largest, free-span geodesic dome, which was originally built for Howard Hughes’ Spruce Goose plane. I’m probably dating myself here, but the Spruce Goose was located here in Long Beach until the mid-1990’s when it was then moved to Oregon. This is a fun itinerary for a weekend getaway, but after experiencing a 3-day cruise, we all agreed that we’d love to try a longer cruise. Between the teen club for my son and all the fun things to do on board, there just wasn’t enough time to experience it all plus enjoy some downtime. The Imagination cruise to Ensenada sets sail at 5:30 PM and everyone must be aboard 60-minutes before sailing. 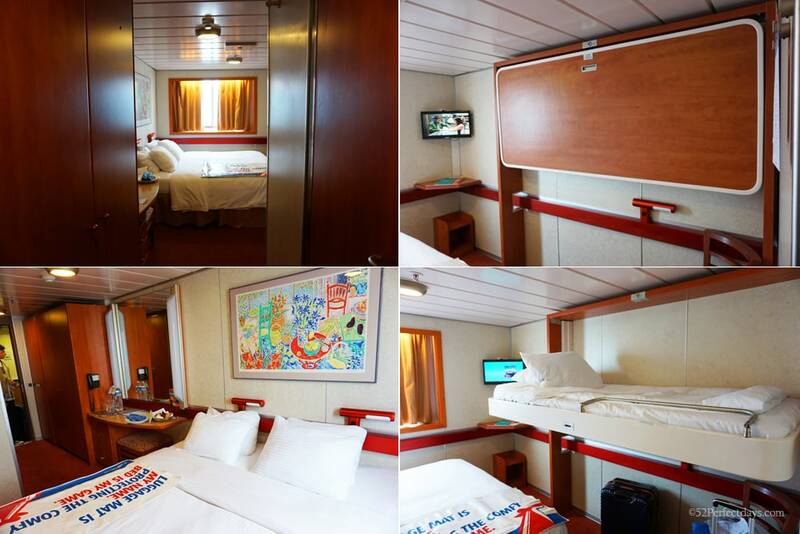 Staterooms are ready at 1:30 PM, so, make your first day on board more fun by arriving at the earliest boarding times! Guests who are scheduled to arrive before 1:30 PM can check their bags curbside so they can be free to enjoy lunch, which will be served on Lido Deck 10 until 4:00 PM. Tip! Bring a Carry-On Bag: When you first board your cruise ship, it can be a few hours before your luggage is delivered to your stateroom. Pack a few essentials like swimwear, sunscreen and a change of clothes in case you want to go to the pool or water slides. There are three stateroom categories on the Carnival Imagination; Interior, Ocean View, and Suite. There are two types of suites; junior and grand. We had an ocean view room, which is listed as sleeping up to five people. This would be an extremely tight fit. Our room was set up with a king size bed and a Pullman (a bed attached to the wall — like an upper bunk– that can be pushed up for more space when it’s not being used for a bed). We found we spent very little time in our room and used it mostly for sleeping and ‘getting ready’ for the day or dinner. There is so much to do on the Carnival Imagination and with a three-day cruise, we found we spent very little time in our room and preferred lounging at the pool to the stateroom. Each day on the cruise you will receive a “Fun Times” itinerary that includes everything there is to do onboard. It shares sections for “top entertainment’, “food”, “drinks”, “spa”, “music”, “movies”, “casino”, “shopping”, “kids & teens” as well as a schedule for everything happening with the times and locations. It’s your cruise ship bible and we carried it with us and constantly referred to it throughout the day and evening. The Carnival Imagination offers three clubs for kids; Camp Ocean for 2–11 year-olds, Circle C for 12-14 year-olds and Club O2 for 15-17 year-olds. Our son had just turned 16 and loved the teen club. It opened around noon daily and closed at 1 A.M. As I shared above, my husband and I found that our son wanted to hang out with the other teens and for the most part planned his days and nights around the club. The teens in Club O2 hung out in the club room, went to onboard shows, the video arcade and met for meals. Our son had a great time and loved connecting with other teens and my husband and I found we were on our own for most of our cruise — having dinner on our own and enjoying many of the onboard shows. I’m sure if we did a longer cruise, there would be more family time, but with just three days my son opted to hang with the other teenagers on board. So you know: The kids and teens clubs are all included in the price of the cruise. The most notable of the restaurants is best-selling author, restaurateur and Food Network personality Guy Fieri’s Burger Joint which strives to bring all the authentic appeal of a roadside burger shack as the cool poolside spot for hot burgers and hand-cut fries. The busiest spots for lunch seemed to be the Burger Joint and Blue Iguana Mexican Cafe, both located on the Lido Deck. These two are quick and easy and located near the pool. You can also head inside on the same deck to check out made to order pizza and deli sandwiches as well as the Lido Deck buffet. Dinner has many options as well, but we opted for the dining room each evening, which includes a three-course meal. You have a choice of two seatings– 6pm or 8:15pm. 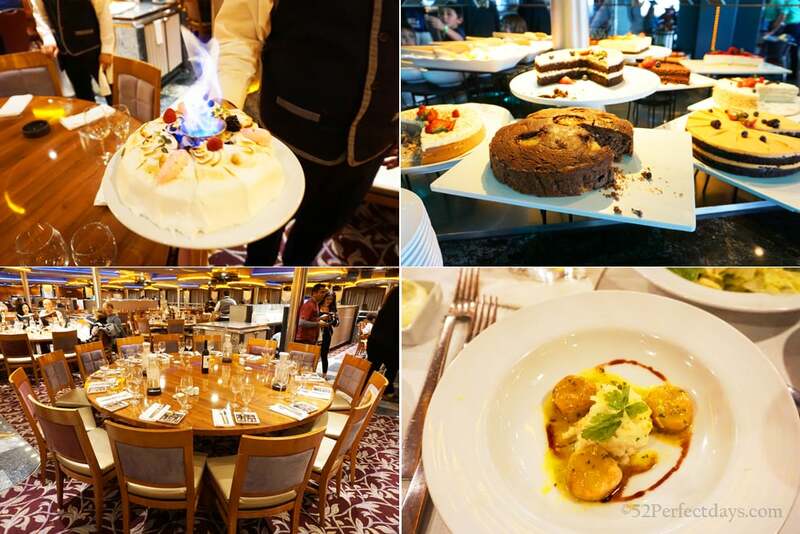 If there’s one thing about cruises, it’s that you have lots and lots of choices and you’ll certainly never go hungry! You can eat at all these places on Carnival Imagination. Food Allergies: If you have dietary restrictions like I do (gluten-free) they are more than willing to accommodate you. I ordered my meal for the following evening during dinner and they would create whatever dish I wanted gluten-free. There is one resort style pool on the Carnival Imagination located on the Lido Deck. On either side of the pool, you’ll also find a jacuzzi. 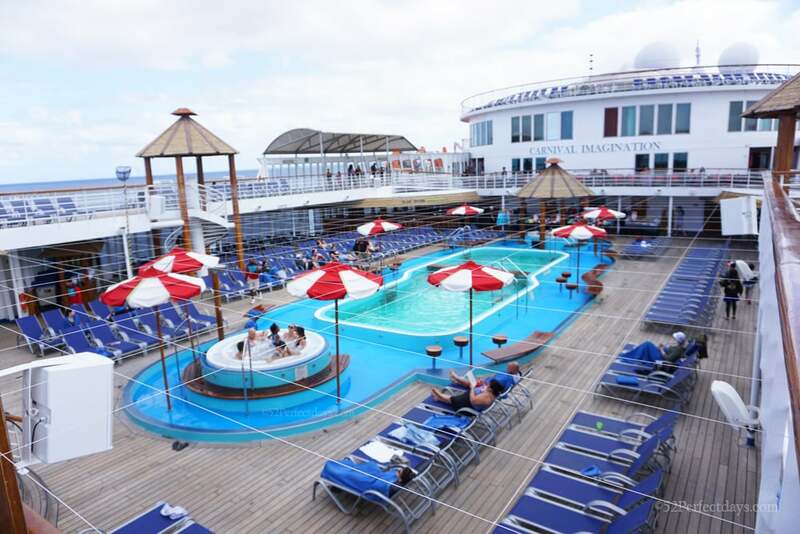 The main pool area is one of the most popular spots on the cruise during the day. There are lots of spots in both sun and shade to relax and enjoy the views of the Pacific ocean. You’ll also find lots of fun activities happening on the Lido Deck — we caught a hairy chest contest that was fun and funny to watch. 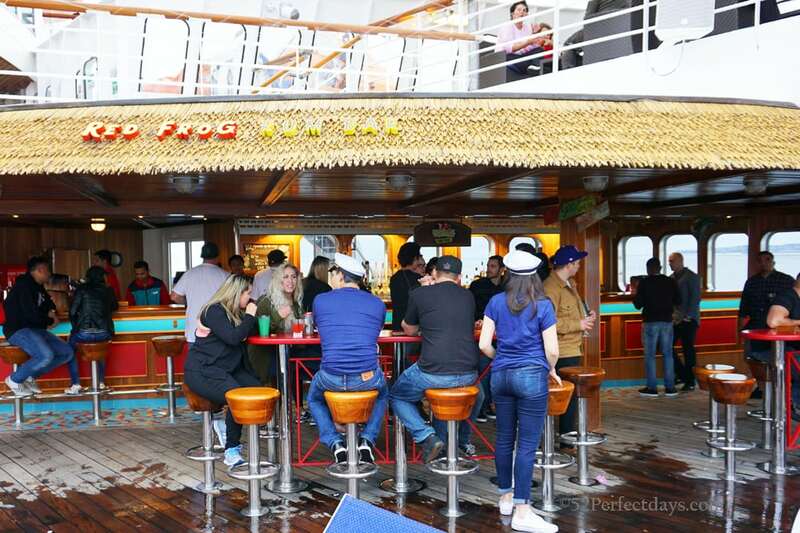 Also on the Lido Deck, you’ll find the Red Frog Rum Bar and Blue Iguana Tequila Bar. There is also an adults only (21 years+) outdoor space on the Promenade level called Serenity with a large hot tub and lounge area with chaise recliners. 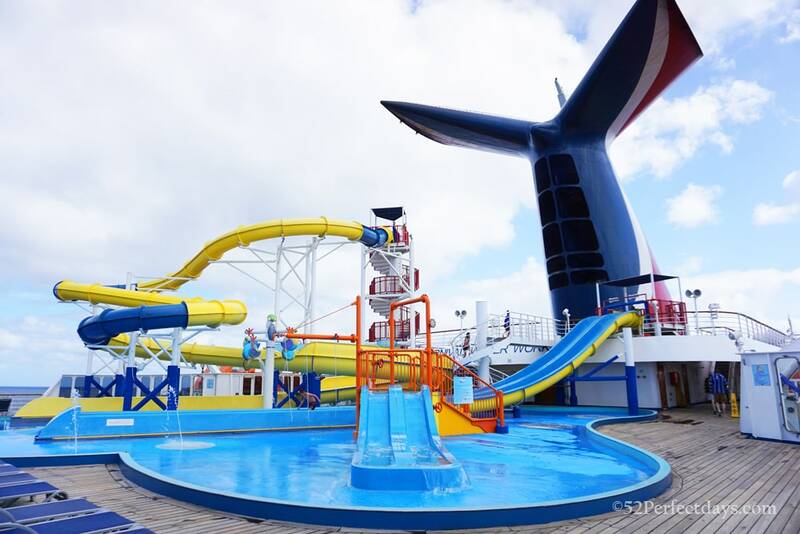 Carnival Imagination WaterWorks includes a twister waterslide, a double straight slide, two mini slides and a spray park. We traveled in March, which can be hit or miss as far as weather. During our cruise, we had a bit of rain on day one and it was a tad chilly for the waterslides for us. But, that didn’t stop loads of other cruisers from enjoying the slides. 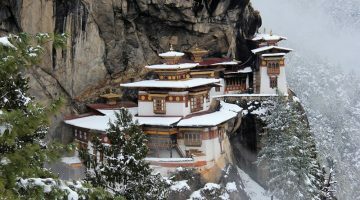 I do know, I’d love to head back during a warmer month and spend a good deal of my day here! The evening schedule regularly offers 20+ options of shows, art auctions, comedy, karaoke, trivia, meet & greets and so much more. On a three day cruise it’s really impossible to do it all, so you’ll want to choose wisely! We really enjoyed the comedy on board and made a point to go to one of the three nightly shows in the Xanadu Lounge. They offer PG and adult versions (18+) of the comedy shows. Our son really enjoyed the comedy as well and joined us most evenings for the PG show. We were really impressed by the comedy shows, musicians and the entertainers for the “Showtime” extravaganza shows in the Dynasty Lounge. Onboard, you’ll also find the Mirage Piano Bar, Illusions Nightclub (18+), Shangri La Lounge, Dream Bar, Atrium Lobby Bar, Alchemy bar where they specialized in martini’s and cocktails and a casino. Day two of the cruise is spent docked in Ensenada. The ship arrives at approximately 8:15 am and doesn’t depart until 5:30 pm. 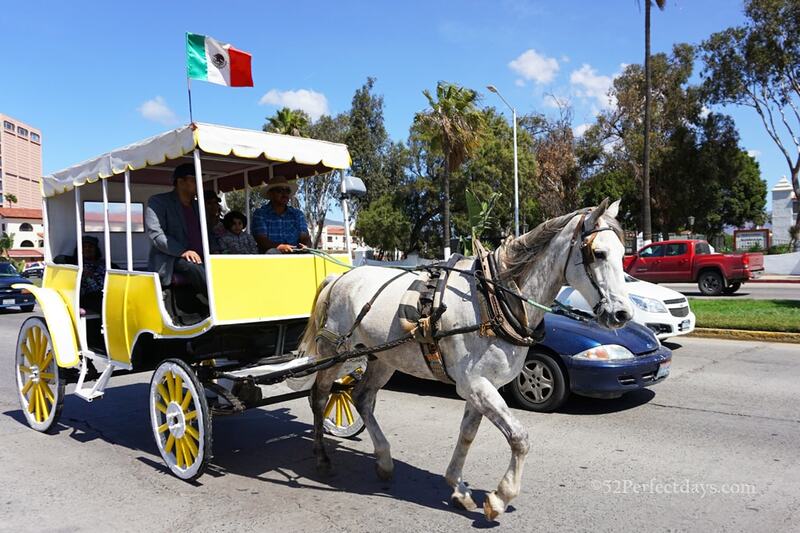 You can spend your day onboard the ship, on an organized excursion or explore the town of Ensenada on your own. There are more than 20 shore excursions you can book when you buy your cruise or while you are on the cruise ship. 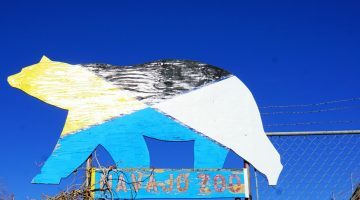 Excursion options range from nearby wine country tours of Valle de Guadalupe (Guadalupe Valley), to surfing, kayaking, food tours and lots more. During our day in port, we chose to explore the town on our own. We’ve visited Ensenada and the wine country many times, so we enjoyed visiting a local museum, lunch at Muelle 3 and strolling through town. The sunrise and sunset can be spectacular sailing on the pacific coast. 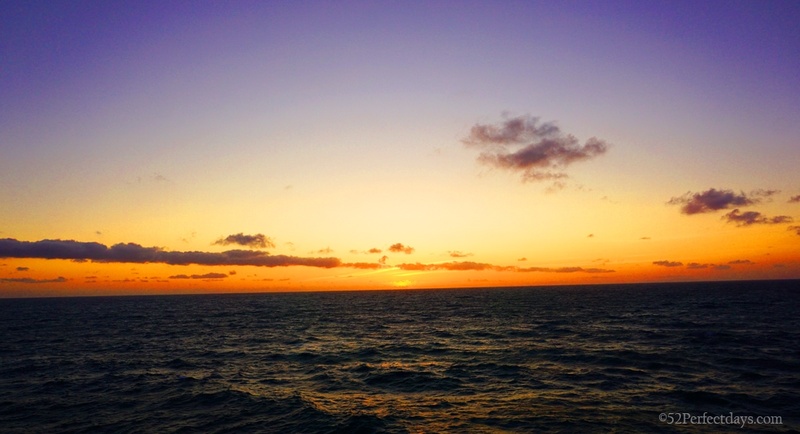 I caught a gorgeous sunset on night two of our cruise from Long Beach to Ensenada. Make sure to plan to be outside for sunset at least one night to truly enjoy mother nature at her best! You can book your 3 Day Baja Mexico cruise from long beach on Carnival Imagination via our affiliate link with Cruise Direct and you’ll never have to pay a booking fee. They also have a best price guarantee to get your best Carnival Cruise deals and cruise from Long Beach deals, offer flexible payment plans, and have options for lots of Carnival Cruises to Mexico. Travel insurance is designed to cover unexpected medical emergencies and events such as trip cancellation, lost, stolen or damaged luggage by an airline or cruise line, and other related losses incurred while traveling. I’m a fan of World Nomads for short-term trips. Protect yourself from possible injury & theft abroad. Read more about why you should always carry travel insurance. 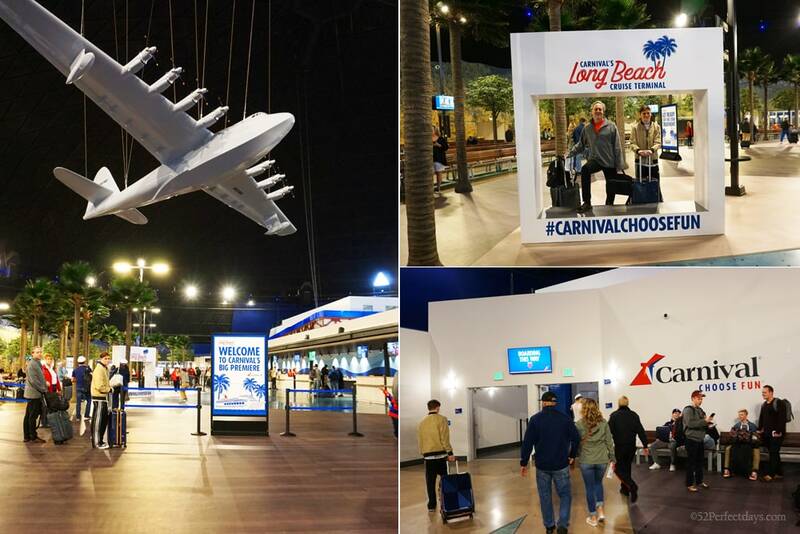 Long Beach Carnival cruise terminal is 23 miles from Los Angeles International Airport; travel time is approximately 50 minutes. It’s 12 miles from Long Beach Airport; travel time is approximately 20 minutes. There’s a garage right next to the terminal and the daily rate is $20. You can also get dropped off by taxi or shuttle. 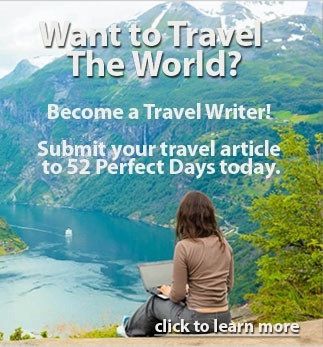 Find cheap flights Check Trip Advisor for the best flight to Los Angeles & Long Beach. Need a hotel the night before or after your cruise? There are many places to stay in Long Beach. There is a wide range of hotels, from budget to luxury. For a luxury hotel that won’t break the bank, I recommend the Westin Long Beach, which is currently the #1 hotel on Tripadvisor. For a mid-level hotel, I suggest the iconic Queen Mary. Finally, for a budget hotel, try the Royal Inn Motel Long Beach. You can also check HotelsCombined for the best Long Beach Hotel Rates. Hotels in Long Beach: Check Trip Advisor reviews for all Long Beach Hotels. What to pack: The temperatures each season vary greatly, but even in summer it can be chilly at night and very warm during the day. I visited in March and was very happy to have a light down jacket, warm socks (I love Ice Breaker), a waterproof outer layer and rain jacket, and some hiking boots (I love Keen). If you are visiting in Winter, you’ll want to bring heavy duty layers. Get the Cruising Guide to Southern California: Golden Gate to Ensenada, Mexico. I always bring Bonine on a cruise. It’s for motion sickness and similar to Dramamine but doesn’t make me drowsy. Bring a good quality mirrorless camera for getting those beautiful photos of the ship and Mexico. I use the Sony Alpha a6000 . A great cross body travel bag . Crossbody bags are great for your day in Mexico. The bag hangs across your chest to keep all your valuables safe! Don’t forget sunglasses for the beautiful sunny days at sea. A.J. Morgan Unisex Sunglasses are a great choice and very affordable! Water shoes are a great item to pack for any pool or beach vacation. They take up little room when packing and great if you end up at a beach that is rocky or with very hot sand. 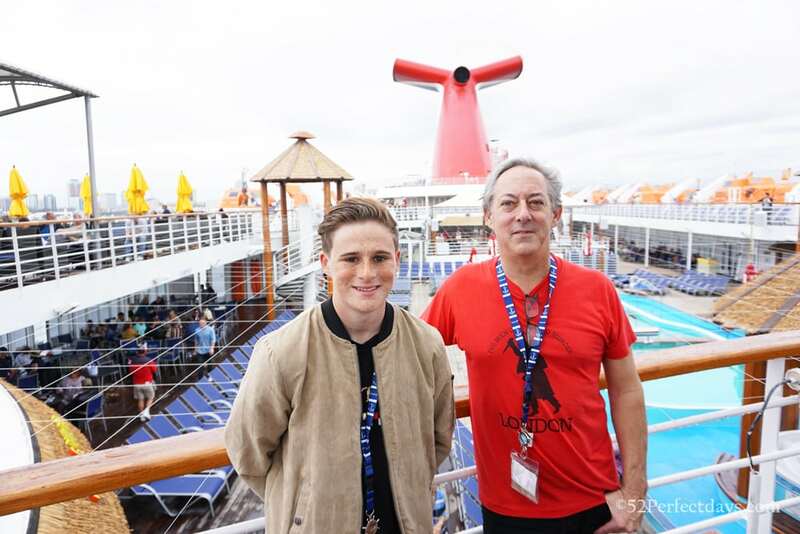 A huge thank you to Carnival Cruise Line for their generous hospitality. 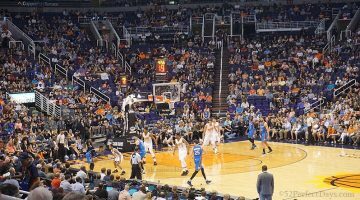 We enjoyed this cruise as professional bloggers, but as always, all opinions are our own. Ah, yes, memories. I remember when the dome was built for the Spruce Goose. Now, it’s where folks can depart for weekends or weeks! Thanks for the share about this quick trip. It has literally been a decade since I last did a cruise, but it was with Carnival and seeing your photos certainly brought back fond memories. I was the one on the Pullman bed and the teen club kept me occupied leaving my parents with lots of free time too! How does it work with passport control on the cruise if you’re going to Mexico? Gorgeous sunset! I’m impressed that they have a club for teens that’s obviously interesting enough for them that they prefer it. I lived in Southern California for a while and had quite a few friends who went on this cruise. They all loved it and reading this now makes me understand why! It sounds like a great break from things. And I have been to Ensenada which is a good place to spend the day! We have friends who have done this cruise but we never have tried one. I think a short one like this would be a good introduction. Not having to continually pack and unpack as you move from place to place sounds inviting, and so many dining and entertainment options. Hmmm….. It always blows my mind how much can get packed into these ships! They truly are entertainment destinations on the move! Awesome guide for the Carnival cruises. I absolutely love the sunsets one can capture from a cruise! The Carnival Imagination cruise looks pretty awesome and it is nice that they had a teen’s club – that kept your teenager entertained! I love cruises – especially the pools, the dining options and the activities on board. Good that you also went to explore the city when the cruise was docked on port even though you had visited Ensenada earlier – many people do not explore the city and choose to stay on board! A short cruise is just what I may need to get over my cruise hangup. Somehow I have a feeling it would be too ‘tied-down’ as compared to a land trip. So much food on board! I have been wanting to take these short cruise. We love cruising and it is such an easy and affordable way to getaway for the week. I’d actually like to do the one that stops at Catalina as well.